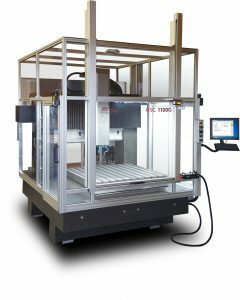 Here you will find technical data as well as information on standard features for the CNC machine HSC 1100G. Max. speed > 15m / min. Buttons for start, stop, zeroing, spray cooling on/off, etc. An overview of the optional components can be found in this page.